The EU FP7 MONARCH-A (MONitoring and Assessing Regional Climate change in High latitudes and the Arctic) project occupies an extremely important niche in the current structure of Earth observations projects at high latitudes. 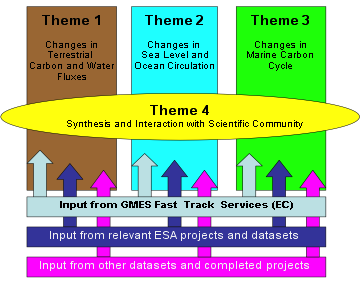 Adopting an Earth system approach the MONARCH-A project executes systematic provision of tailored information and products to assist climate change research. MONARCH-A generates and make available reliable, up-to-date scientific input for the elaboration and implementation of European and international policies and strategies on climate change and society. The MONARCH-A information package is based on generation of time series of observation datasets and reanalyses of past observational data enabling adequate descriptions of the status and evolution of the high latitude and Arctic region Earth system components.